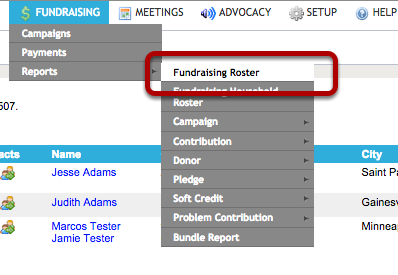 Generate a Fundraising roster which combines the contributions from Member records connected with the Advanced Relationships feature. 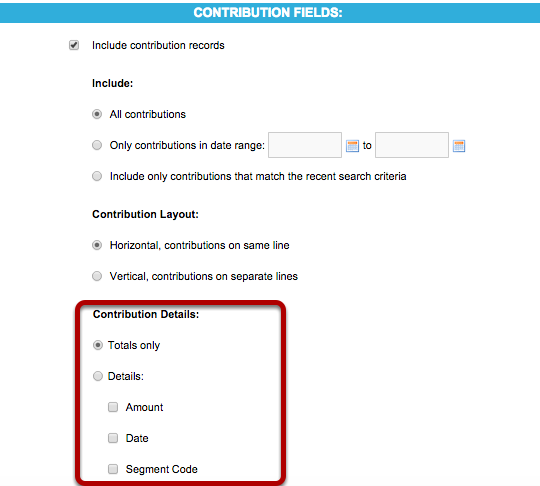 Member records is the default view and lists all contributions individually by each Member record. Any other relationships which have been grouped through the Grouped Members feature will be listed here as well. Records are grouped together. In this example, the 1) Spouse Relationship combines the records of Members who are 2) connected through the Spouse Relationship. You can view your results from within your web browser to make sure you pulled just the information that you needed, or you can download it as a .csv file for exporting to a spreadsheet.